LBJ at LBJ Ranch, near Stonewall Texas, Frank Wolfe/WHPO, 1968, LBJ Library. It was not uncommon for President Lyndon B. Johnson to change his plans midair—especially when Air Force One was in the vicinity of the LBJ Ranch. This rural homestead with adjacent, ancestral property constituted the places of LBJ’S past, present, and future. According to my father, the LBJ Ranch was a source of “mental and physical rejuvenation” for President Johnson. 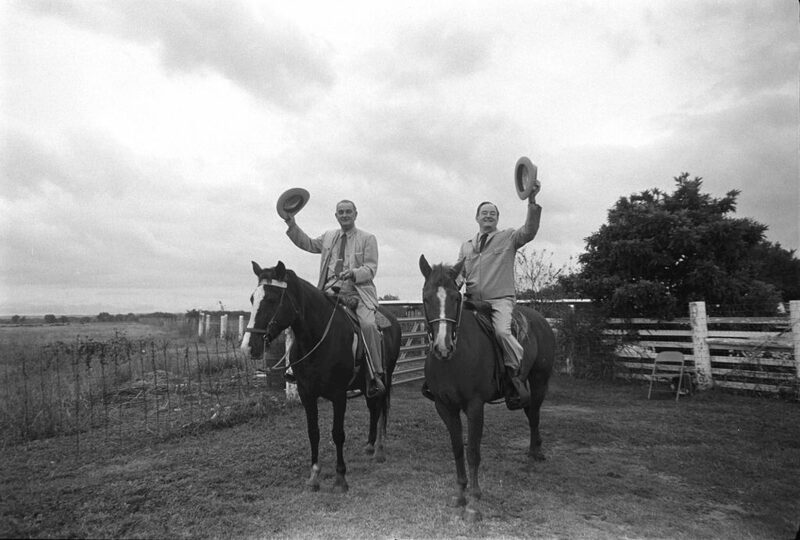 President Johnson and Vice President Humphrey on the LBJ Ranch, Stonewall, Texas, Nov. 1964, Cecil Stoughton/WHPO/LBJ Library. 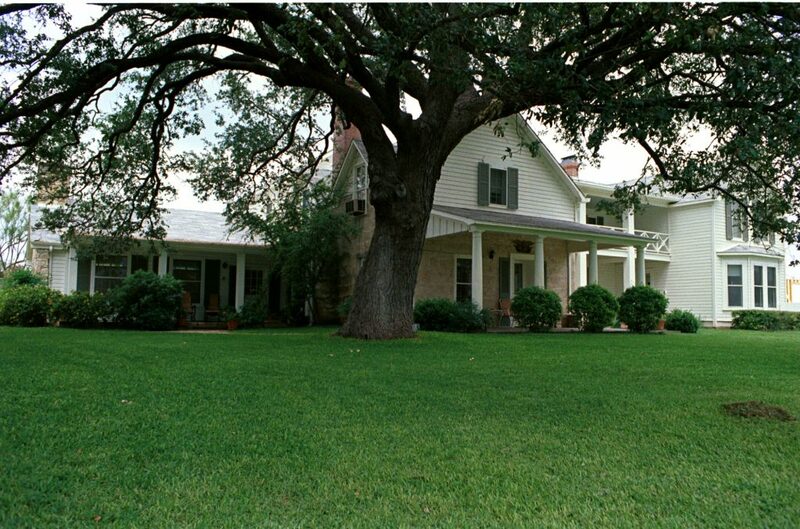 During LBJ’s presidency, the ranch was called the Texas White House when LBJ was in residence. It was equipped with state-of-the-art telecommunications, security, and an airstrip. Dignitaries from across the world were entertained there. My father spent many moons at the ranch, including holidays, during the ten years he protected Vice President then President then Former President Johnson. To express their appreciation to the agents who were constantly separated from their families, President and Mrs. Johnson, more fondly known as LBJ and Lady Bird, hosted a weekend at the ranch for some of the agents and their wives in December 1966. 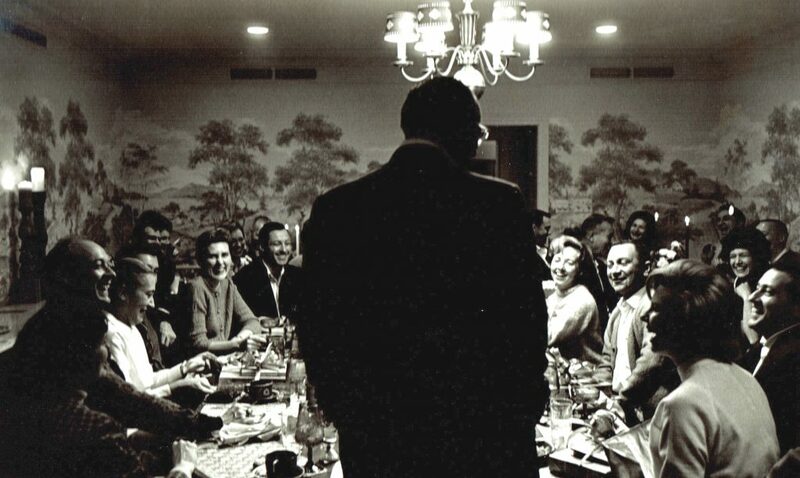 The Johnsons host Secret Service agents and wives, LBJ Ranch, Dec. 1966, WHPO, LBJ Library. After leaving the presidency, LBJ immersed himself into the management of the ranch. Also, with a team of advisors, he worked on writing his memoirs, creating the LBJ Library and the LBJ School of Public Affairs; and participating in seminars and speaking engagements. 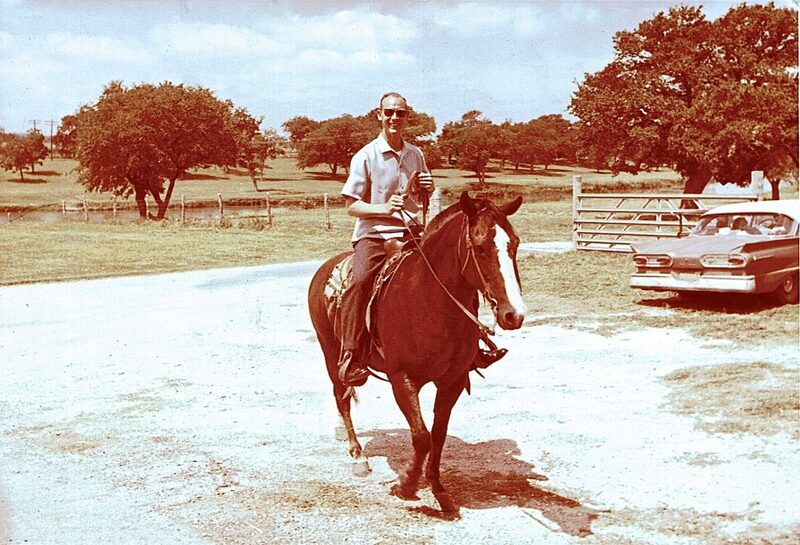 Agent Youngblood at the LBJ Ranch, date unknown possibly 1964, Cecil Stoughton, US Army, RWY Collection. But according to biographer Doris Kearns Goodwin (2018), Johnson’s four post-presidential years were “more bitter than sweet.”(3) Retirement proved challenging for the man who had dedicated the majority of his life to public service and who my father once described as “tireless and energetic in his legislative efforts to help people enjoy a better life.” During his administration, sweeping landmark legislation had been passed for his Great Society which included significant advancement of civil rights. On December 26, 1972, former President Truman died. LBJ attended his comrade’s funeral at the Truman Library. It was LBJ’s last public appearance. 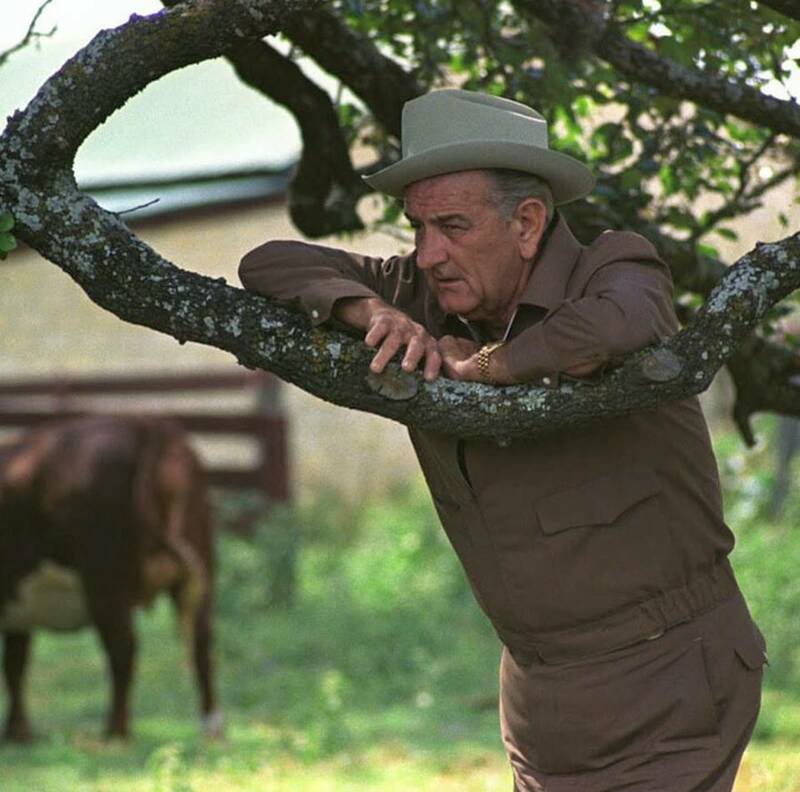 Less than one month later, on January 22, 1973, LBJ suffered a fatal heart attack at his home on the ranch. He was 64 years old. His death occurred just two days after President Nixon’s second inauguration and one day before the Vietnam War settlement was announced. His death marked the last of the living former Presidents at that time. For my father, LBJ was the fourth of the five presidents he had served who had died. With American flags still flying at half-staff in honor of President Truman, LBJ’s body lay in state at the LBJ Library in Austin, then at the Capitol Rotunda and then moved to the National City Christian Church in Washington, DC, for a memorial. On November 25, 1973, his body was returned to Stonewall, Texas, where Reverend Billy Graham conducted the final memorial service for President Johnson in the family cemetery at the LBJ ranch. (6) There, under a canopy of ancient, live oaks adjacent to the Pedernales River, the 36th President of the United States was laid to rest. 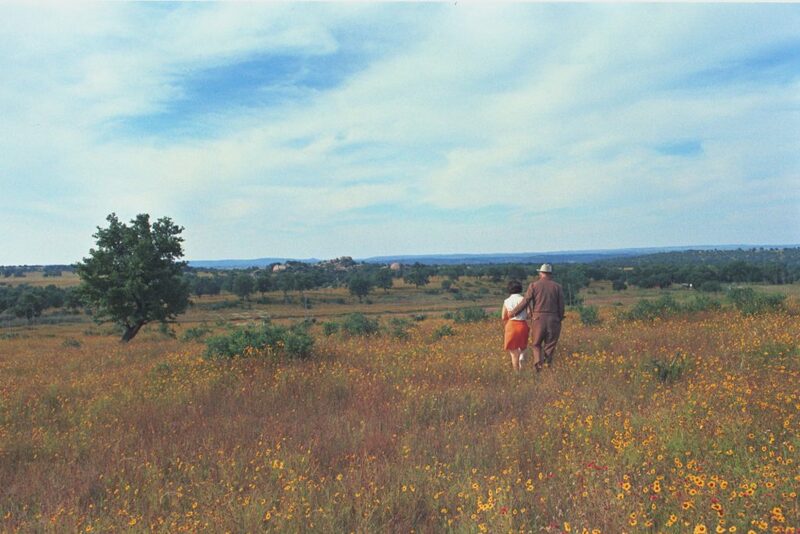 LBJ & Lady Bird, LBJ Ranch, near Stonewall Texas, Frank Wolfe/WHPO, 1968, LBJ Library. 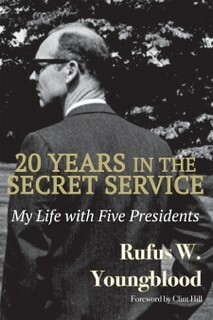 1.Rufus Youngblood, 20 Years in the Secret Service: My Life with Five Presidents (Fideli Publishing, 2018), 127, 175-176. 2. Mike Howard, Former Special Agent US Secret Service, in discussion with the author July 15, 2018, January 21, 2019. 3.Doris Kearns Goodwin, Leadership in Turbulent Times (New York: Simon & Schuster, 2018), 346. 4 & 5. Doris Kearns Goodwin, “The Divided Legacy of Lyndon B. Johnson,” Sept 7, 2018, The Atlantic website, accessed Jan. 21, 2019. 6. National Park Service, “Johnson Family Cemetery,” LBJ National Historic Park website, March 31, 2012, accessed Jan. 21, 2019, https://www.nps.gov/lyjo/planyourvisit/johnsoncemetery.htm.